If the true equation of stardom means quality and success combined with longevity, then GINETTE RENO definitely inhabits the rarefied air of Canadian super stardom. Celine Dion, no stranger to super stardom herself, stated: "When I was ten, GINETTE RENO was my idol; my inspiration. "She is one of the world's greatest singers". Montreal's La Presse wrote, "In the real sense of the word, GINETTE RENO has become a legend. Nevertheless, no one has stayed more simple or more authentic... She has already become the Queen of Entertainment." Wanting to sing at a very young age, and in order to earn her spending money, the little Raynault sings in the stores from the Plateau Mont-Royal neighborhood in Montreal. In 1959 and 1960, she participates and wins all first prizes at the important amateur contest "Les DÃ©couvertes de Jean Simon" (New Talents from Jean Simon). As winner of the year, three clubs (CafÃ© Caprice, le CafÃ© de l'Est and the CafÃ© Provincial) offer Ginette her first professional contracts. At her mother's and her own request, Jean Simon becomes her personal manager. He helps create the image of the great singer we are so familiar with today. A slight correction of her teeth, dieting and skin care, singing lessons with Roger LariviÃ¨re, diction and scenic arrangements with Eliane Catela, hairdressing and make-up with Bernard the hairdresser as well as carriage and movement with Elaine BÃ©dard; all experts in their fields. Jean Simon changes her name from Raynault to RENO and Ginette finds herself with a manager and mentor who is also her professional patron. Under his guidance, she records her first single with Apex record company. It becomes an immediate success all across the province. "J'aime Guy", is followed right away by "Non papa", "Roger" and a series of other titles sung and danced by all teenagers. Very soon, she performs very successfully on most major TV shows. The huge hit, "Tu vivras toujours dans mon coeur" gives her at age 16 the title of DÃ©couverte de l'annÃ©e (New Talent of the Year) at the 1964 Gala des Artistes (Artists Gala). In 1965, Ginette makes a triumphant debut at Montreal's Place des Arts accompanied by Gilbert BÃ©caud. Soon after, ends Ginette Reno's association with Jean Simon. At the Olympia in Paris, She takes part with other Quebec Artists in the shows "Vive le QuÃ©bec" in 1967 and "Musicorama" in 1968. At the end of 1967, she, husband Bob Watier and Manager Gilles Talbot founded the Grand Prix record company. The following year is particularly remarkable for the singer. She wins the Title of Miss Radio-TÃ©lÃ©vision 1968 at the "Gala des Artists", the trophy of the Most Popular Female Singer, Artist Having Sold the Most Albums and Best Album at the "Festival du Disque" as well as another trophy at the MIDEM in Cannes. The same year she gives a series of shows at Montreal's "ComÃ©die-Canadienne" and the "Jardin des Ã‰toiles" as well as across Canada. She records her first English album with the British company Decca in 1969 and receives the Rollande-Desormeaux trophy at the "Gala des Artist" as well as that of Artists that Has Sold the Most Record. 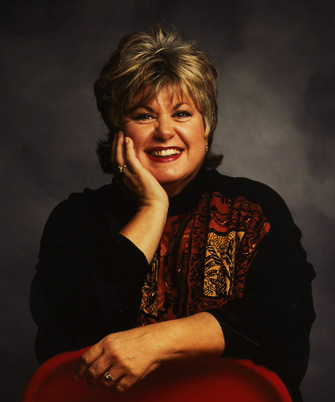 Ginette Reno then sings with the Montreal Symphony Orchestra and presents shows at the Place des Arts (Montreal) and at the Centre National des Arts (Ottawa). At the Juno Awards she wins Best Canadian Singer in 1969 and will receive the same honor in 1971 and 1972. Since 1965, the singer dominates the Quebec "Hit parade" with "les yeux fermÃ©s", "Quelqu'un Ã aimer", "La derniÃ¨re valse", "Le chemin de San JosÃ©", "C'est mon coeur qui chante", "Clair" et "Le sable et la mer" (with Jacques BÃ©langer). In January 1970, Ginette Reno Stars at London's Savoy and makes a few appearances at the BBC. She then tours Canada and in Quebec gives another series if shows at the Place des Arts and is awarded Best Canadian Singer by RMP magazine. Another trip to London in April 1971 allows her to record her 3rd English album and host a TV Series on the BBC with the popular singer Roger Witthaker. In 1972, representing England, Ginette Reno wins the first prize at the Yamaha World Popular Song Festival in Tokyo with the song "I can't let you walk out of my life". The BBC then presents a "Ginette Reno Special" throughout Canada. In the following 2 years the singer reduces her activities. Despite this, an uninterrupted string of hits including, "Aimez-le si fort" and "Reste prÃ¨s de moi", keep the singer #1 in Quebec. In the summer of 1974 she presents at Place des Arts and the Grand ThÃ©atre de QuÃ©bec a show with 30 musicians and a 70 voices choir. At the same time she knows two important record success with "Des croissants au soleil" and "T'es mon amour, t'es ma maitresse" (duo with Jean-Pierre Ferland). From '74 to '76 Ginette Reno studies in L.A. At Lee Strasberg's school of "art dramatique". In 1975, she stars one week at Toronto's Royal York and gives 12 concerts at the National Arts Center of Ottawa. In June her touching rendition of "Un peut plus loin" (written by Jean-Pierre Ferland) in front of 250 000 people on Mont-Royal for the "FÃªte National" becomes a high point of her career. In November, a show at Place Bonaventure attracts 15 00 fans. After a tour of Quebec including some of the greatest halls, Ginette Reno demonstrated her talent for jazz during Gershwin Special on the "SociÃ©tÃ© Radio Canada" in December 1976. On record, she continues to accumulate hits with "Repartir", "Je t'ai fait une chanson" and "Ã€ ma maniÃ¨re". After founding the record label Honey dew (Melon-miel) in 1977, Ginette Reno is once again starring at Place des Arts and editing in France the album "Ce que j'ai de plus beau" which contains the hit "La vie". In 1978 she sings on American TV Appearing on the "Dinah Shore Show" and "Merv Griffin Show" and gives a series of shows in Las Vegas with Don Rickles. This years ends with another 22 shows at Place des Arts. vIn December 1979, TÃ©lÃ©-MÃ©tropole dedicates a one hour TV Special to the singer which completes a 45 show tour of QuÃ©bec. She then presents some shows at L.A.'s famous Roxy and appears on the show "The Palace" with British singer Jack Jones. In 1980 Ginette Reno experiences great success with "Je ne suis qu'une chanson" which remains ti this day one of her favorites. With the title piece by Diane Juster and the songs "Ã‡a va mieux", "Toi le poÃ«te" and "J'ai besoin d'un ami" (first song signed Ginette Reno), the album will sell more than 350 000 copies, a record that will remain for 15 years. More popular than ever, Ginette Reno will star in a series of 24 shows at Place des Arts and a tour of 28 cities throughout Quebec in the fall of that year. At the l'ADISQ awards in October, she wins Female Singer of the Years, Most Popular Album and Best Selling Album. Meanwhile Diane Juster wins for Song of the Year with "Je ne suis qu'une chanson". In '81, Ginette Reno launches the album "Quand on se donne" which has many songs (including the title song) with music signed by Ginette Reno. She cohost the Juno's with Frank Mill in Toronto and is elected Most Popular Woman of the Year at the "Salon de la Femme". The following year she receives the prestigious honor of becoming Officer of the Order of Canada. April 1983 France discovers the great voice of Ginette Reno when she appears on the shows "Coeur en FÃªte" and "Champs-Ã‰lysÃ©es"and as her first show at the Olympia of Paris. In Quebec, a long tour ends in June 1984 with shows at Place des Arts and the "Grand ThÃ©atre de QuÃ©bec". Ginette Reno remains present on the charts with the songs "Ã‡a tient au chaud un homme", "C'est beaucoup mieux comme Ã§a" and "De plus en plus fragile". In July 1985, she sings with Michel Legrand at Montreal's International Jazz Festival and in December she cohost with Michel Drucker the TV show "Champs-Ã‰lysÃ©es" entirely filmed in Quebec. She returns to Place des Arts in September '86 with her show "Si Ã§a vous chante" that she also presents on tour. The following year she is the star of shows surrounding "Rendez-vous 87" (a series of hockey games between Canada's best team and the ex-U.S.S.R.). The year ends with a show at the "Grand ThÃ©atre de QuÃ©bec" with the city's Symphonic Orchestra. At the "Gala MÃ©tro Star" in '88 awards for the Best Female Singer and the Public Award for Favorite Artist where given to her. Following the success in 1989 of the song "Ne m'en veux pas", "Comment te dire" and "La deuxiÃ¨me voix", she presents a series of 12 concerts at the St-Denis Theater in Montreal, in March. In October she wins the Felix Award for the Most Popular Show of the Year (La prochaine fois j'aurai 20ans), Most Popular Album of the Year (Ne m'en veux pas) and another for Most Album Sold. April of 1991 sees the debut of the album "L'essentiel" for which she does a promotional tour in France. In the fall she makes a remarkable debut on film in the movie "LÃ©olo" by Jean-Claude Lauzon. Ginette Reno Presents in the spring of '92 her concert "L'essentiel ... la suite". She plays in 1995 (after an absence of 2 years) in the CBC mini-series "Les jumelles Dionnes". In November 1995 she receives a Felix Hommage from l'ADISQ a fuw days prior to releasing the album "La chanteuse" ritten by Luc Plamondon, with music by Romano Musumarra. This album encludes the songs "L'Hymne Ã l'amour de l'an 2000", "IndÃ©pendante ou dÃ©pendante", "Galaxie" and "La chanteuse". She gives a concert at the Florence-Gould hall at the French Alliance in New-York in January 1996 and in November, L'ADISQ gives her the Felix of Most Popular Album of the Year for "La chanteuse". She spends 4 weeks at the St-Denis Theater in Montreal, tour all of Quebec until March 1997 and host de "Gala MÃ©tro Star" for the first time. It's during this same year that she dedicates herself to many important projects. She records the album "Version Reno"(October 1997) in which she interpretes classic french songs and songs from the 60's. She records the album "Love is all" in New York, this is the first english album since 1979, it debut's September 2nd 1998. She also plays Laura Cadieux in "C'est Ã ton tour Laura Cadieux" under the direction of Denise Filiatrault (based on the novel by Michel Tremblay published October 9th 1998) and becomes the main caracter in the series "Une voix en or", a Franco-Canadian co-production airing in March 1998 on Radio Canada and France 2. She Tours in October 1998 throughout Quebec with her new show "Un peu plus haut" and interprets the song "Un peu plus haut un peu plus loin" for the first time since 1975 at the prestigious Gala de La Presse. Her album "Version Reno" obtains, once again, 2 nominations at the gala de l'ADISQ. 1980 Adisq : interprÃ¨te fÃ©minine de l'annÃ©e, Microsillon de l'annÃ©e - Populaire pour "Je ne suis qu'une chanson", Microsillon le plus vendu pour "Je ne suis qu'une chanson"
1989 Adisq : Microsillon de l'annÃ©e - Populaire pour "Ne m'en veux pas", Microsillon le plus vendu pour "Ne m'en veux pas", Spectacle de l'annÃ©e - Populaire pour "La prochaine fois que j'aurai vingt ans"
1992 Adisq : Album de l'annÃ©e - Populaire pour "L'essentiel", Spectacle de l'annÃ©e - InterprÃ¨te pour "L'essentiel... la suite"
1996 Adisq : Album de l'annÃ©e - Populaire pour "La Chanteuse"